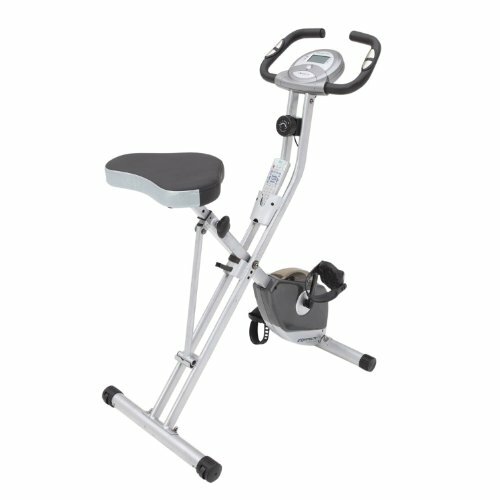 The best folding exercise bike will have the features that you require to get in a good workout. 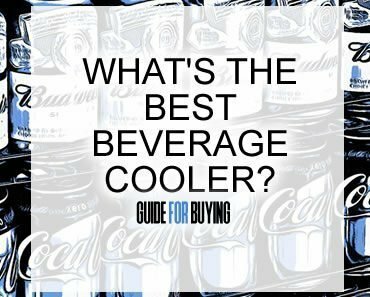 The first step in picking the best one is learning more about the available features and the details. This review will give you the knowledge that you need to ensure that you pick the best folding exercise bike. What Type of Safety Features Are Important? What Type of Resistance is Necessary? What Optional Accessories Are Nice to Have? What Noise Do the Bikes Make? What Are the Primary Types of Folding Exercise Bikes? What Are the Comfort Options? What Are the Benefits of a Folding Exercise Bike? 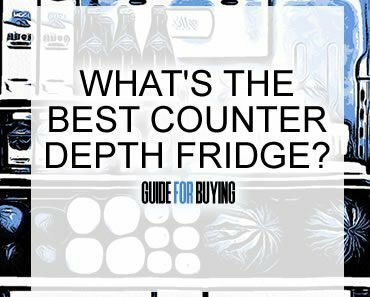 An LCD display is the most common type. These are generally easy to read and will provide all of the important numbers that you may want to monitor as you exercise, such as how many calories you burned and the total time you have been exercising. A heart rate monitor is a personal preference. However, if you want to build your endurance, it can be helpful because it allows you to see if you are hitting your target heart rate. You need to hit this target to get an optimal cardiovascular workout. A bike that has enclosed mechanical parts is ideal for safety. This can prevent your feet from getting caught when you are pedaling. It also prevents small children from putting their hand into the moving parts. If you want to vary your workouts, built-in programming can be helpful. The programming usually consists of different workouts that you can switch between. Some bikes will also allow you to install new workout programs. This usually requires a USB port or a Bluetooth connection. You will usually need to choose between magnetic and manual resistance when you are picking out the best folding exercise bike. The magnetic type usually allows for higher and more varied levels of resistance. 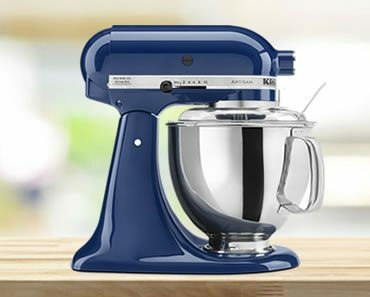 However, manual resistance can be easier to learn how to operate. It is important to get a bike that can handle more than you weigh. Ideally, the bike should be able to handle 50 extra pounds. For example, a person who weighs 150 pounds should get a bike with a weight capacity of at least 200 pounds. The best folding exercise bike will have the accessories that help you get a convenient workout. Some bikes may include speakers that are built-in to the bike so that you can listen to music as you are riding. They may also have a USB input or be Bluetooth enabled. Some bikes might have a water bottle. This makes it easier to stay hydrated when you are on your bike. You might also consider one with a built-in fan if you tend to sweat a lot when you are working out. Some bikes are louder than others. The noise level is often associated with the type of resistance that you choose. Air resistance may be a little louder, but it offers a cooling breeze as you exercise. This is because it uses a fan as part of the resistance element. Magnetic resistance is usually quieter. 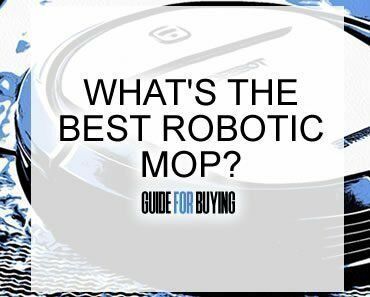 It often has more resistance levels and the performance does not include any friction. The two primary types include upright and recumbent exercise bikes. Upright bikes are the most common type of exercise bike that people buy for their home. They are similar to riding a traditional bike. On an upright bike, you can stand or sit, allowing you to have some variation in your workouts. They are also better for distance, speed and calorie burn compared to a recumbent bike. Recumbent bikes are more comfortable since your weight is more evenly distributed. This type of bike also puts less strain on the joints. The seats tend to have more padding and they also come with a backrest so that you can recline as you ride. 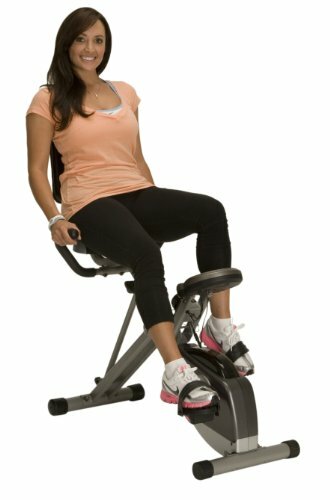 What Are the Best Folding Exercise Bike Comfort Options? These bikes may offer seats with extra padding. 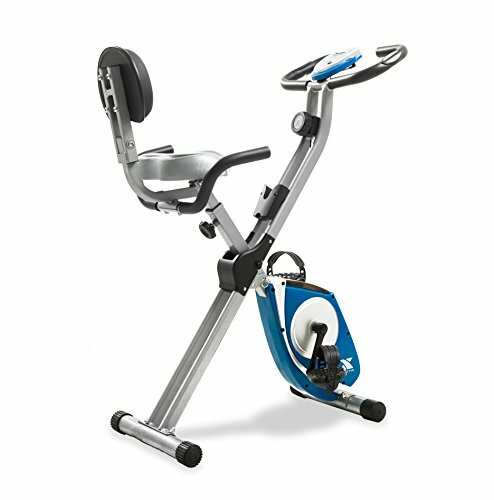 If you have arthritis or you just want more comfort, the best folding exercise bike will have a large seat with extra cushioning. 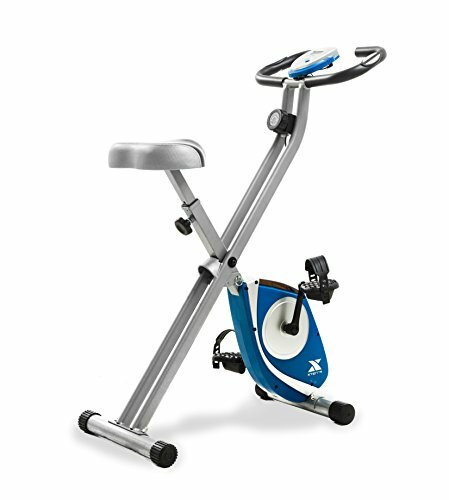 The Exerpeutic Magnetic Upright Bike is ideal for flat, hard floors. The large seat ensures comfort throughout your entire workout. You can adjust the seat to accommodate people up to 6’1. This is one of the best folding exercise bike choices because it folds to about half the size when you are ready to store it. When you pedal, it is relatively quiet. Keep an eye on your workout statistics by using the large LCD display that provides a wealth of information, including your heart rate. You can control the tension to ensure that you are getting a challenging workout. When you are moving it around, take advantage of the transportation wheels so that it moves smoothly and easily. 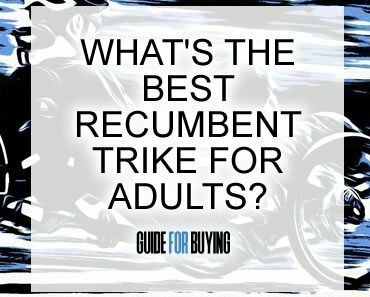 The Exerpeutic 400XL Recumbent Bike operates quietly due to its V-belt double-drive transmission. The flywheel is precision-balanced for a smooth workout experience. This is one of the best folding exercise bike options since it has a semi-recumbent design. This means that you can recline a bit as you exercise to reduce the strain on your neck and back. 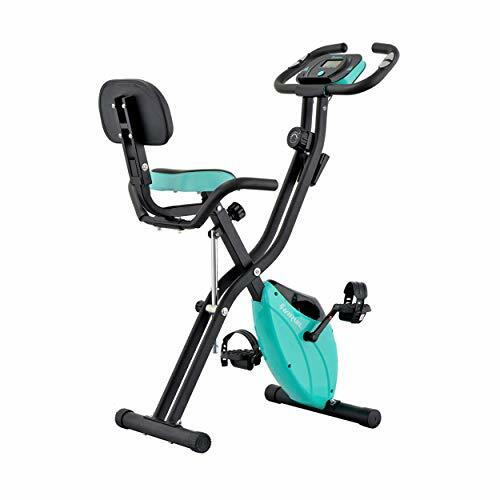 The large seat and soft backrest further your comfort as you exercise. The design of the bike makes it easy to mount and exit. This is ideal for all people, but it can be especially good for people with mobility issues or the elderly. Control the level of resistance so that you get a challenging workout. Track your distance, time, heart rate, calories and speed on the LCD display. The XTERRA Fitness FB350 Bike is one of the best folding exercise bike options since it folds down to 20.5 by 20 inches. This ensures that you can store it easily. Use the transport wheels to move the bike around without a problem. People as short as 4’10 can ride this bike comfortably. You only need 2 AA batteries to power the LCD display. Track your heart rate, distance, speed and time on the display. This reduces any cords lying around. The dial tension knob makes it easy to adjust the level of resistance. The seat has an anatomical design for added comfort. The Harvil Foldable Magnetic Exercise Bike is one of the best folding exercise bike choices because it can handle higher weights. It also has a variety of features, including pedal straps to prevent your feet from slipping while you ride. The digital monitor shows you your distance, calories burned, speed, time and your heart rate. There are sensors on the handlebars that work to detect your pulse. The flywheel operates quietly throughout all of the 10 resistance levels. This means that you can get a tough workout without being noisy. You can adjust the seat position to ensure that it is comfortable when you are riding. This bike works for people as short as 3’10. The XTERRA Fitness FB150 Bike is one of the best folding exercise bike options because when you fold it up, it only needs 16.75 by 18 inches of floor space. You can easily see the LCD window and it measures two by one inch. It has the information that you need to track your workouts, including speed, time, pulse, distance and calories. The eight resistance levels ensure that you can find one that you can operate, but it will also challenge you. The straps on the foot pedals make sure that your feet stay in place even during a fast ride. You can grip the handlebars in several ways to ensure comfort as you ride. This allows for comfort and control when you are riding.